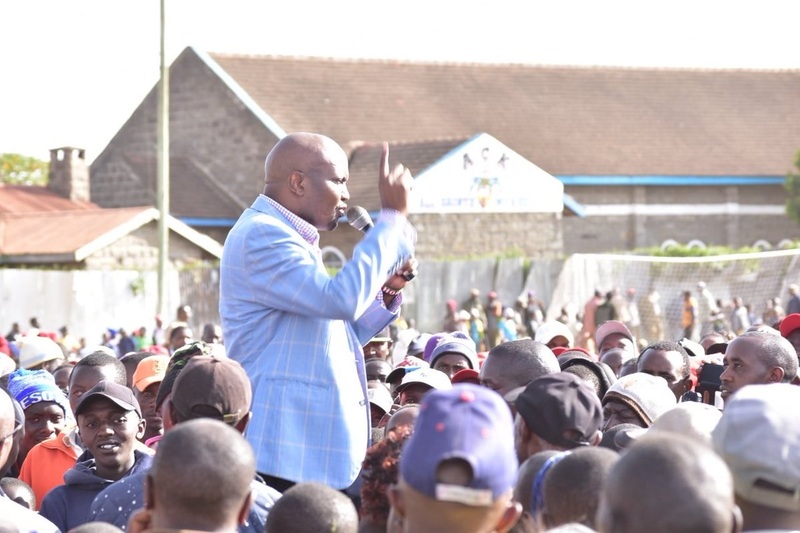 Wednesday April 17, 2019 - Gatundu South MP, Moses Kuria, has joined Deputy President William Ruto in attacking the Office of Director of Criminal Investigations (DCI), George Kinoti. On Wednesday, Kuria, who is facing hate speech charges, told a Nairobi court that DCI officers are interfering with witnesses in the case. Through his lawyer, Geoffrey Omenke, Kuria said top detective, George Kinoti, was directly interfering with State witnesses in order to tilt the case against the MP’s favor. Omenke told Milimani Senior Principal Magistrate that the DCI wrote to the Court on February 5th asking for a copy of the proceedings. "Why is the DCI, applying for Court proceedings, there is a sinister motive?” he posed. In the case, Kuria is accused of urging panga-wielding youth to defend the National Youth Service and its projects. This was in 2015 when National Super Alliance (NASA) leader, Raila Odinga, accused former Devolution Cabinet Secretary, Miss Anne Waiguru, of stealing Sh 798 million from NYS. Waiguru is currently the Kirinyaga County Governor.